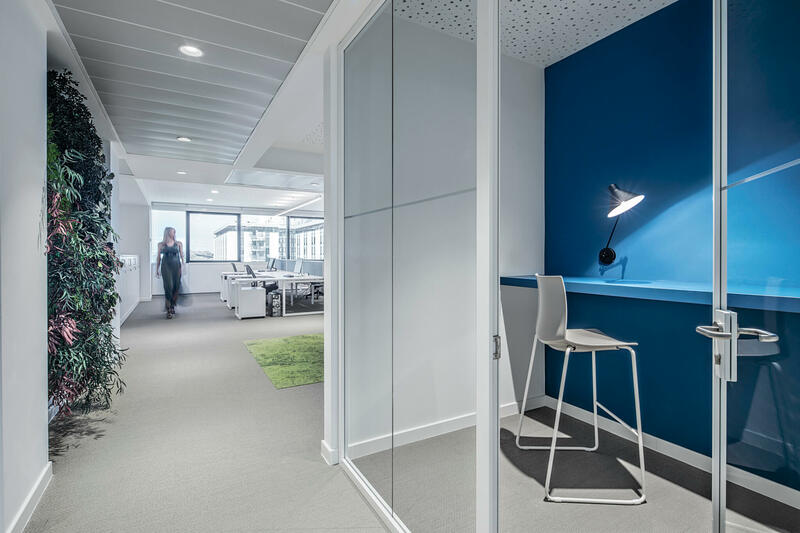 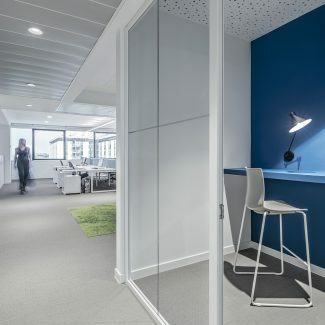 Tétris has interpreted the needs of Engineering 2K, mainly focused on a traditional view of the working space, introducing the client to the concept of smart working. 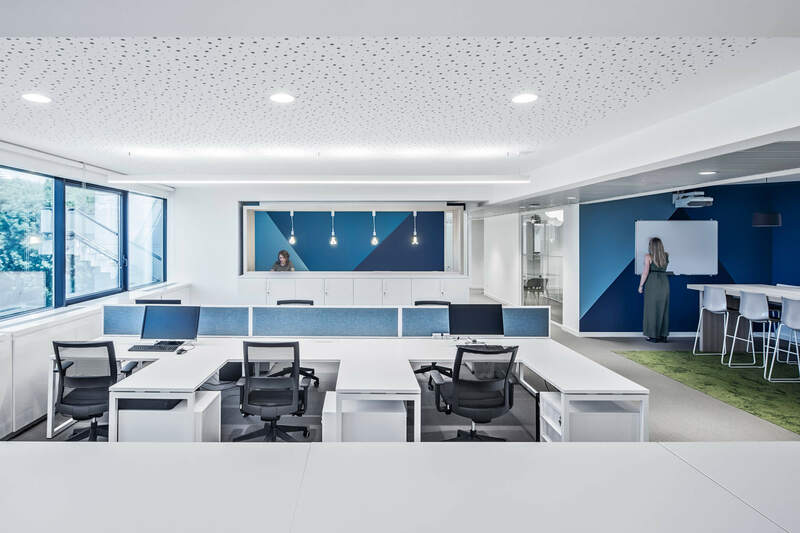 Our architects revisited the use of the space switching from a traditional-static office, where each environment is normally dedicated to a single function, to a more dynamic and fluid space where the areas can be construed according to different requirements and activities. 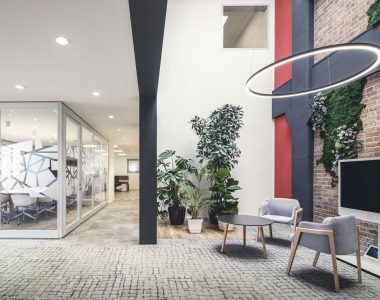 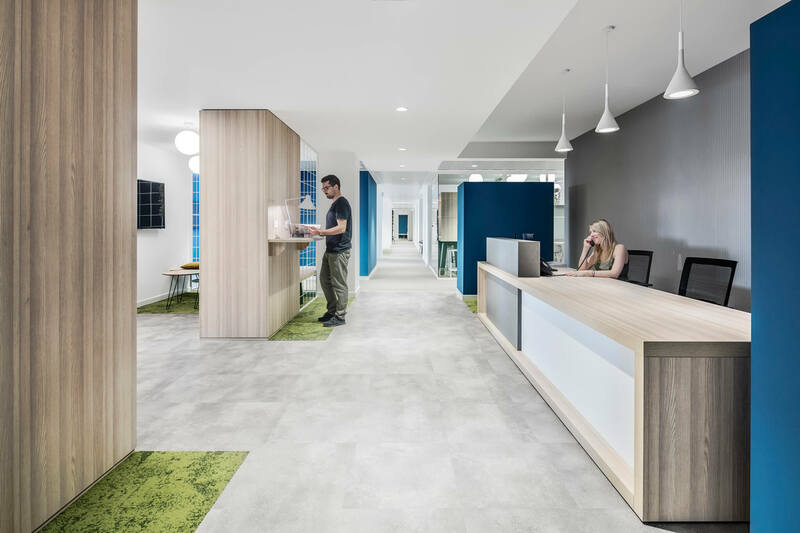 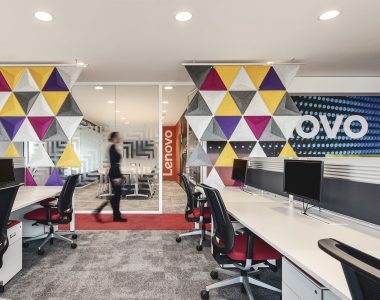 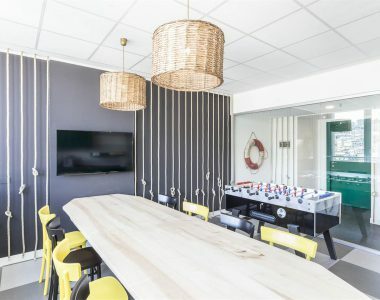 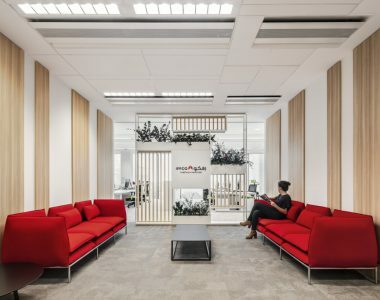 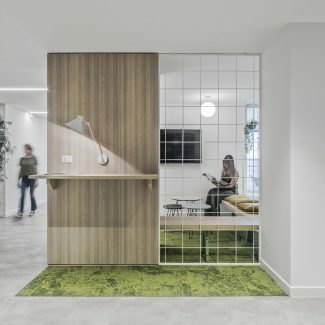 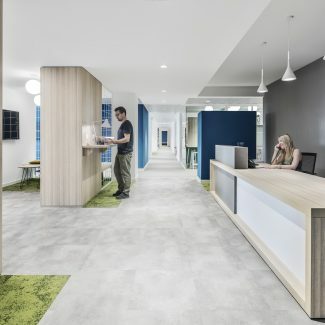 Indeed, the presence of interconnected and open spaces encourage the communication and the interaction among people besides enhancing the well-being perceived by the employees. 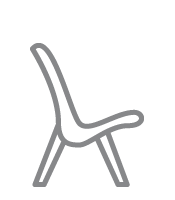 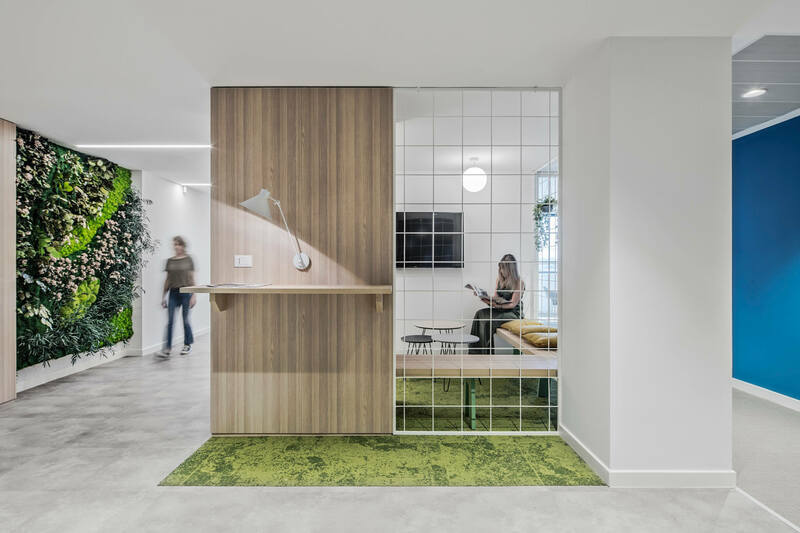 The working space has been designed creating a concept inspired to the elements and features of the corporate industrial activity combined to a “green feeling” and a sustainability approach. 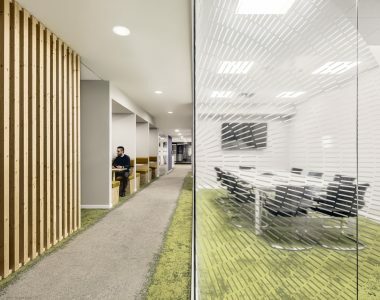 Construction materials, as concrete and welded meshes have been merged to greenery, wood finishes and carpet with a grass effect. 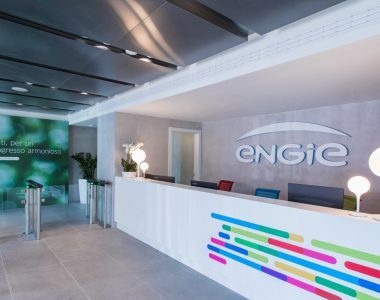 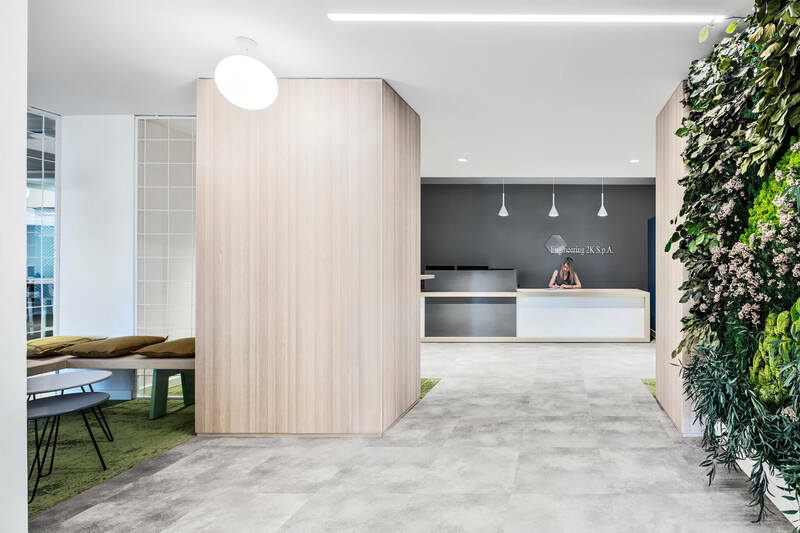 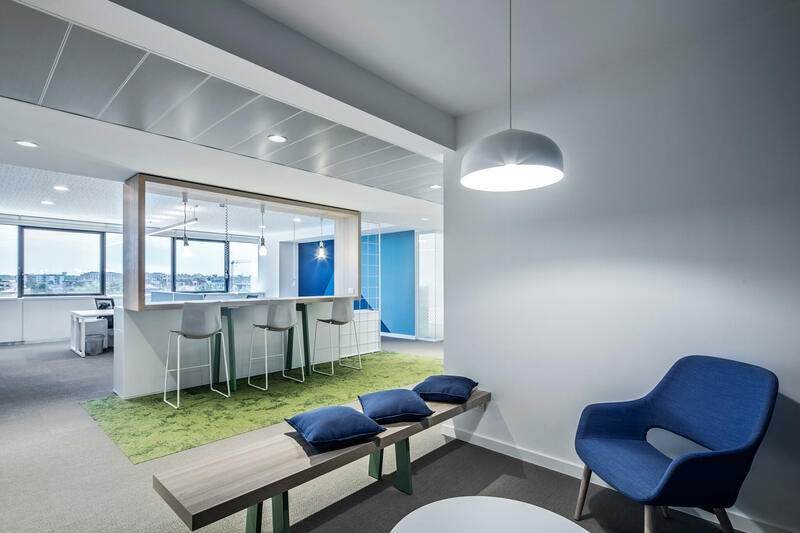 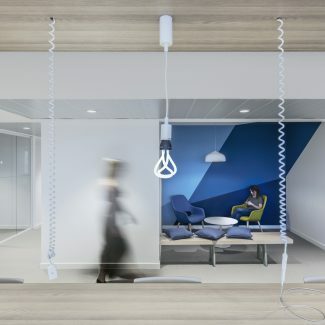 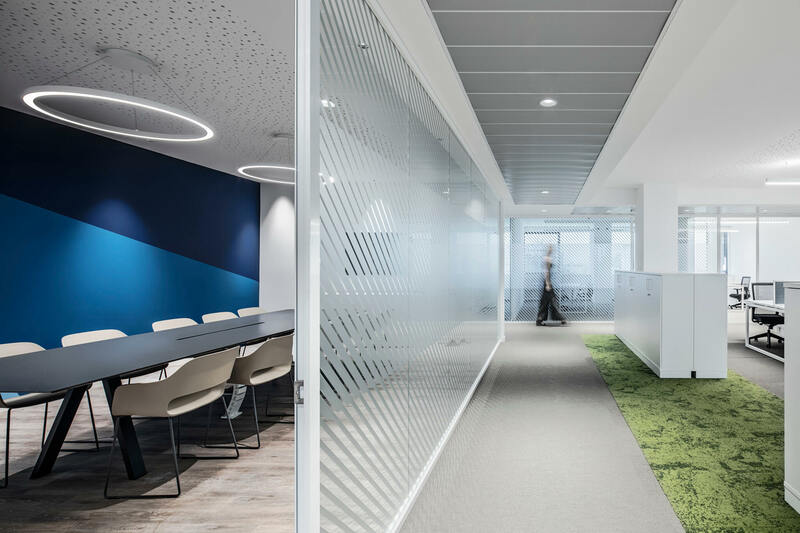 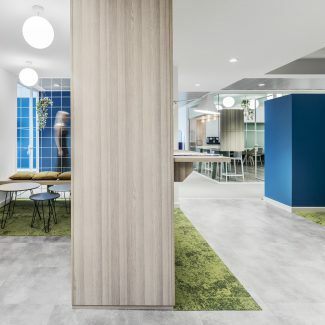 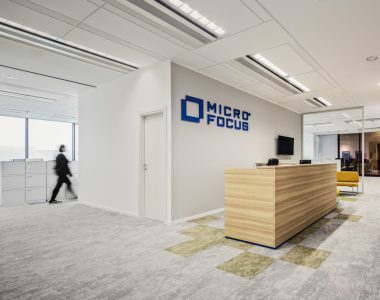 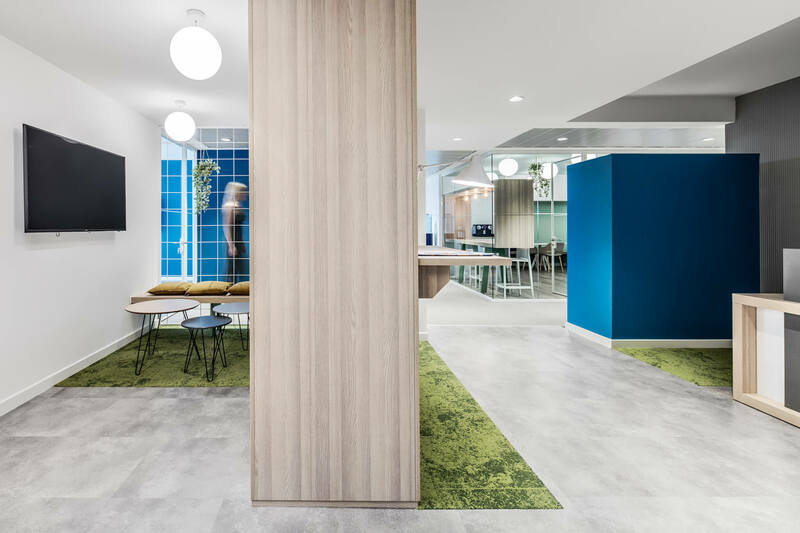 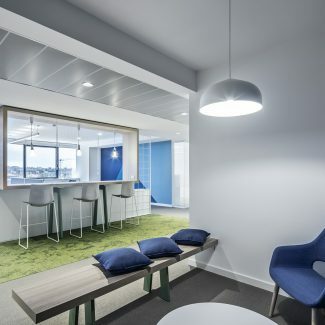 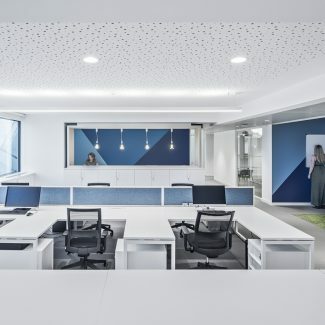 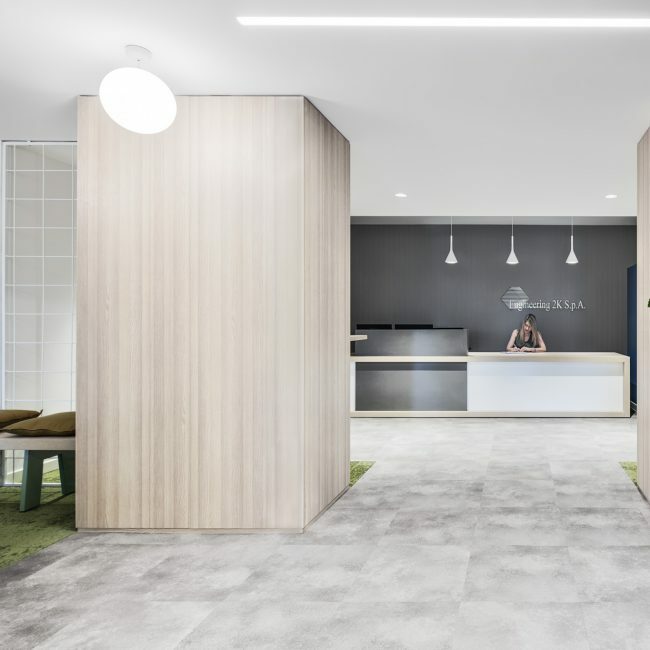 The use of the colors, in the gradations of green and blue, as well as the geometries of the brand characterize the space in an incisive manner reflecting the company values. 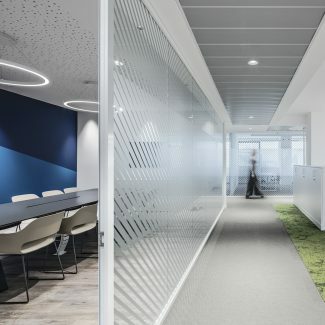 The new headquarters are developed over a surface of 1.300 sqm on a unique floor. 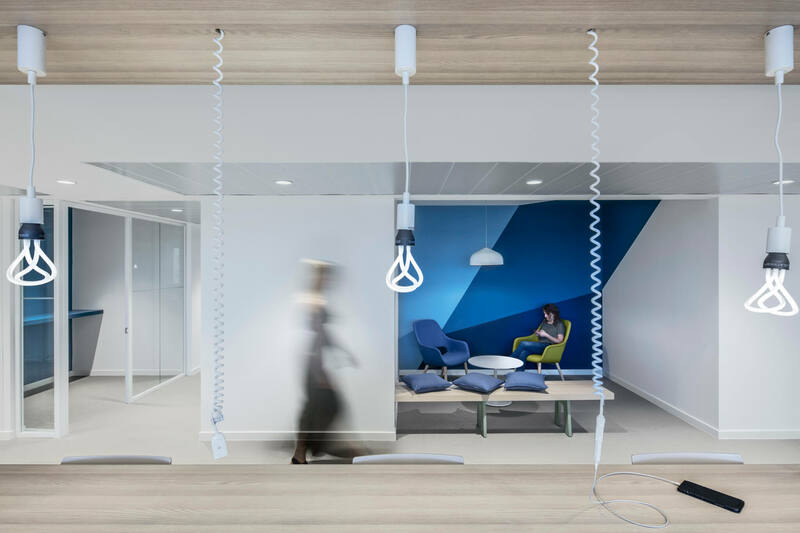 – touch down stations for guests and consultants. 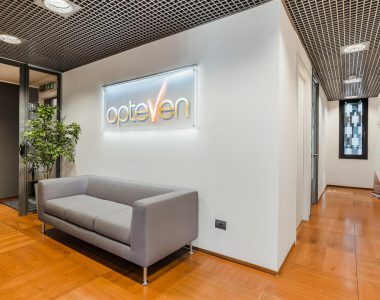 At the same time, Tétris has also completed the refurbishment works of the former Headquartes, located in Castel San giovanni, which are now a secondary branch of the company.